When you look into a sweet baby’s eyes it’s hard to think of that baby as a sinner. When you look at yourself, you know your good intentions and you know the justifications for your own sins. It’s tempting to think the baby is good. 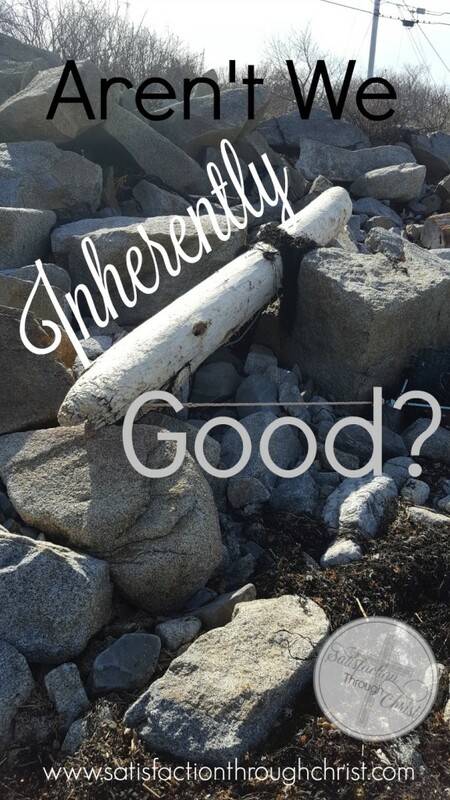 It’s tempting to think we are good; that we aren’t “bad” people, committing “those” sins. We think we would likely choose the “good” choice the majority of time. It might be tempting to think that humankind is usually basically inherently “good.” I know people who believe this. This belief, or partial belief, of the basic goodness of humanity is called Pelagianism or semi-Pelagianism. The problem is that it contradicts the Bible. The Bible is God’s Word which lays out the total depravity of humanity. We are imperfect, unholy, corrupt sinners from conception. (Psalm 51:5) We don’t even have to do anything or a specific “sin.” In this fallen world, we just are sinners. Sin is as much in our heart attitudes, such as our innate desire to put ourselves first, as it is in actions. Even a cursory reading of the Old Testament will show over and over how humans – the Israelites, who were God’s chosen people – would try to “straighten up” for short times, usually due to God’s anger against them, but would inevitably drift back into rebellion. Many times they would even go beyond what was before, into worse treachery. That pattern has played out in modern history, and has probably proved true in our own lives. 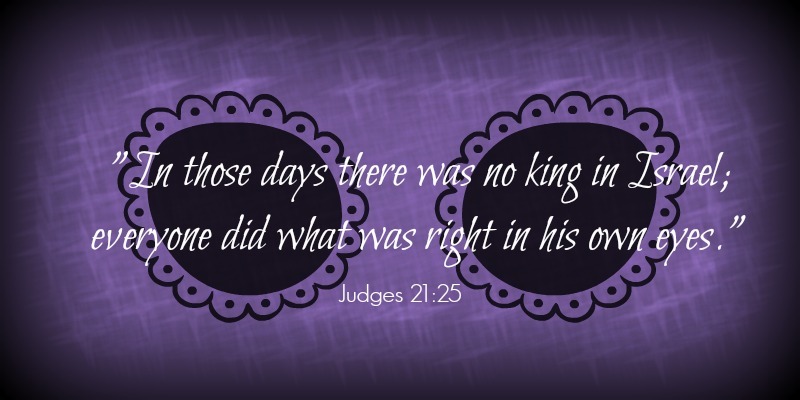 The book of Judges in the Bible shows the cycle clearly. Taken from my study Bible, it seems that Judges covers approximately 299 years of Israel in peace, free from slavery, under various judges that could lead them mostly serving God. But then there is also approximately 111 years interspersed in that time when Israel’s judges would die and they would slide into worship of pagan gods and other sins that completely disregarded God. So God would give them over to the hands of their enemies as slaves. They would be released and have a good leader, be “good” for a while, and fall right back into disobedience. None of us is inherently good. We are all sinners, and sin makes us terribly self-centered. With no direction, no moral compass, and especially without God’s grace working in us, we default to seeking our own comfort. It soon comes to the wheels falling off as greater sins are committed in pursuit of self. When any of us turns toward God, it is a miracle of His grace. We are terrible and desperate and helpless on our own. We are in dire need of a Savior, which God provided in Jesus Christ. He saves us and His grace helps us change. The Gospel causes me to mourn for my sins, and the state of this world. I repent. I marvel at God’s redemptive plan, His grace, and His love. I rejoice and praise Him. I pray for His grace always abounding. All for His glory.